Are you very fond of SWF cartoons and love to check them all the time? Sure the SWF cartoons are just cool and so much of fun. But what when you want to watch them offline? Well, no worries as Movavi Screen Recorder will help you to turn them into MP4 so that you can watch them even from your mobile device when you are offline. You can’t always download Flash player in your mobile device and since SWF videos are Flash videos – they will need a Flash player to run. By converting SWF videos into MP4, you can let go of all such worries. But how to convert SWF to MP4? Movavi Screen Recorder is all that you need here. The Movavi program will record your SWF video and then convert it into MP4 for your convenience. Here is a brief on how you can convert SWF cartoons into MP4 with Movavi Screen Recorder. Download & install the software in your program with the help of installation instructions offered with the Movavi software. The software is available for both Windows and Mac users. Pick the one that suits your system. Open the SWF video that you wish to record and convert. Choose size preset from Capture Area. Then, you will definitely wish to capture the audio of the video. So, click on microphone or speaker icon (as you wish) and choose audio device. Make sure the audio symbol is looking green. Now, it’s time to capture your SWF video. Simply, click on REC and start the capture process. The moment you want to finish the recording, click on Stop. If you have to pause, click on Pause. In case, you have to stop the capture without saving, click on the Cancel tab. Do you want to take screenshot? Well, press on F8 button on your keyboard. We have the last stage of the conversion process. As you click on Stop, you will have a preview window opening up before you. 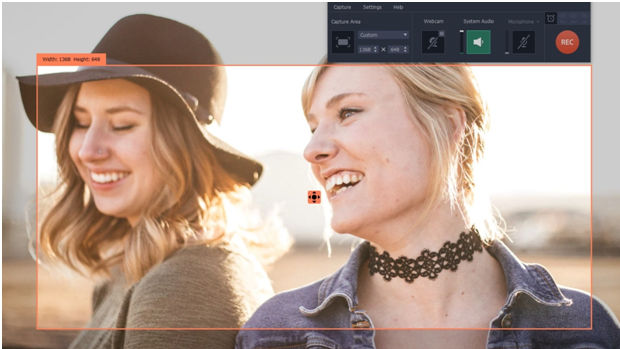 Movavi Screen recorder even allows you to edit the recorded video. You can use the scissors icon to cut out the undesired part and then click on trash can to remove that edited part. Now, click on Save As. Go to Export window & select MP4. Finally, click on Save. • The Movavi software is able to captures online video or video from Windows and Mac computer screen. • The program is able to capture sound from different sources, including both microphone and speaker. • Helps with automatic recording with the in-built timer. • Allows you to cut out the unwanted parts from the recorded segment. 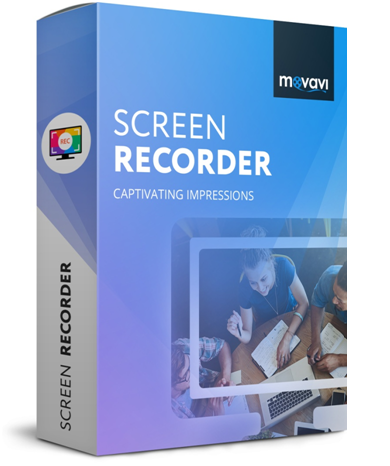 • Movavi Screen Recorder can also convert your recorded video into any major video format. For faster recording, you can use keyboard hotkeys. Use F10 to start the recording process and F10 to Stop the capture. Press on ⌥ ⌘ 2 to stop capture.